An aspiring school ‘timeshare’ initiative in Lebanon has made a dramatic impact on educational provisions for children in conflict by putting at least 148,000 Syrian refugees back to school. The Guardian tells us more about this life-changing project and how we could help it further its mission. This week 148,000 Syrian child refugees in Lebanon are back in school. This is thanks to an innovative initiative that has dramatically changed the way we think of provisions for children in conflict. Having been deprived of an education by a war entering its fourth year, 88,000 of these children are now benefiting from a unique timeshare experiment. The local Lebanese children, who study in French and English in the mornings, are sharing their schools to allow Syrian refugees to learn in their native Arabic during a second afternoon shift. Some Syrian refugees also attend the morning school and the shift system is allowing many more children to be educated. In one pilot area in Akroum, northern Syria, a Scottish charity is providing the funds for Syrian volunteers and Lebanese teachers to work together. Over the past few weeks an idea that was once merely a concept has been debated by international organisations and turned into reality. The project has got off the ground thanks to aid given by 10 donor countries, allowing Unicef and the UN high commissioner for refugees (UNHCR) to mobilise and work in partnership with the Lebanese government. This month in New York I was able to report to the UN secretary general, Ban Ki-moon, that the idea of education without borders is coming alive in one of the most dangerous areas of the world. This is thanks to the efforts of the UN voluntary organisations and aid agencies that have now pledged approximately $100m to make the initiative work. The education of Ban Ki-moon himself is testimony to what can be achieved when international organisations are determined to provide education in the midst of conflict. The secretary general was educated under a tree during the 1950s civil war between North and South Korea. He benefited from a unique scheme under which Unesco and Unicef provided aid for the child refugees of that country’s devastating war. He told me that the books he used were received thanks to Unesco and that printed on their back cover was a message from the UN. It said: “Work hard and you will repay your debt to the United Nations.” This is something Ban Ki-moon did many times over as he rose to become the first secretary general of the United Nations who was brought up in the midst of civil war. But 60 years on we have yet to establish the principle that even in the throes of conflict children will be provided not just with food and shelter, but with education. And we have yet to persuade aid donors that the one thing that education can provide is the vital ingredient of hope: hope that there is a future worth preparing and planning for. Today more than 20 million of the 57 million children who are not in school are denied education because they are victims of war. And while the Red Cross long ago proved that healthcare can be provided even in the most difficult and turbulent of wars, we have not yet made sure that schooling can continue uninterrupted. As a result of our failure, children who should be at school are often involved in child labour, begging on the streets, condemned to early marriage, trafficked, or even recruited as child soldiers and trained to kill. Now Lebanon can become the country where we achieve for education in 2014 what was achieved for health a century ago. We can give education to every one of the 435,000 child refugees and vulnerable children. The provision of education beyond borders is not just a concept. It is coming alive in the most difficult of conflict zones, but it will take a demand from the public to persuade governments to do what is necessary to maintain support over the coming years. We must make sure the right of every child to go to school – in war as well as in peace – can become a reality. My name is Jamie Squillare, a literature teacher. 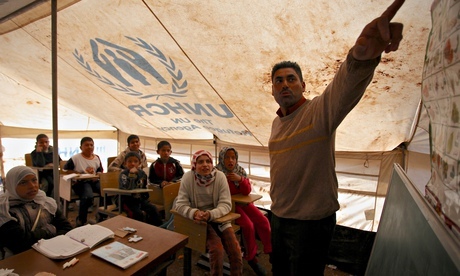 I believe that providing education in the midst of conflict can be challenging but possible. Governments and citizens needed to do what is necessary to maintain support over the coming years, especially for the hard-to-reach conflict zones. Visit my blog to read more tales of achievements in the education sphere. Education groups who opposed the high-stake use of standardized tests have formed an alliance called Testing Resistance and Reform Spring to support a wide range of initiatives aiming to stop the use of standardized test scores as key measure of educational achievement. The article below contains the names of individuals and groups who have joined the alliance. With resistance to standardized test-obsessed school reform growing around the country, three dozen local, state and national organizations and individuals have now banded together in an alliance to expand efforts to bring sanity to education policy. 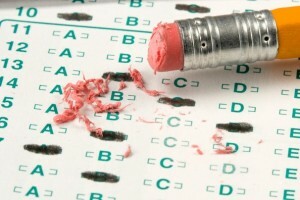 The alliance, which is called Testing Resistance and Reform Spring, will support a range of public education and mobilizing tactics — including boycotts, opt-out campaigns, rallies and legislation — in its effort to stop the high-stakes use of standardized tests, to reduce the number of standardized exams, and to replace multiple-choice tests with performance-based assessments and school work. The alliance will help activists in different parts of the country connect through a new Web site that offers resources for activists, including fact sheets and guides on how to hold events to get out their message. The emergence of the alliance represents a maturing of the grassroots testing resistance that has been building for several years locally in states , including Texas, Florida, New York and Illinois. Though many supporters of Barack Obama expected him to end the standardized testing obsession of George W. Bush’s No Child Left Behind when Obama was first elected president, many now say that the Obama administration has gone beyond the excesses of NCLB to inappropriately make high-stakes standardized tests the key measure of achievement by students, teachers, principals and schools. Assessment experts say that standardized test scores are not a reliable or valid way to make high stakes decisions about the effectiveness of teachers or the achievement of students, but education policymakers have ignored these warnings for years. This has led to situations that are nothing short of preposterous, such as teachers being evaluated on the test scores of students they never had. Meanwhile, the emphasis on testing has led to an explosion of tests being given to kids; for example, fourth-graders in the Pittsburgh Public Schools have to take 33 standardized tests mandated by the district or state this school year. It is this reality that has fueled the resistance. The founding members of the alliance are the Center for Fair & Open Testing, or FairTest, as well as Parents Across America, United Opt Out, Network for Public Education, and Save Our Schools. More news on education and literature are found on this on this Jamie Squillare blog.